Family & Medical Leave - Family & Medical Leave Act (FMLA) give edible worker up to 12 weeks unpaid (job protected) -- for -- serious illness, care for spouse, child, or parent. Birth or adoption of a child. 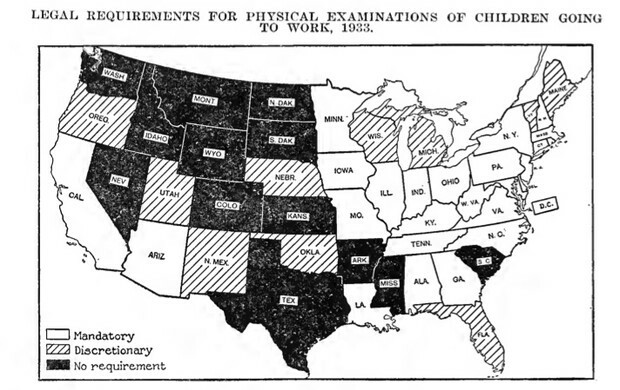 State Laws - max amount of hours, and time of day, no night work. 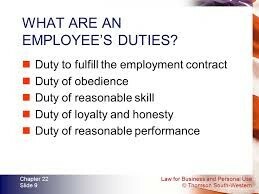 What are an Empolee's Duties?